Midseason bloomer. Three petals, hanging-lantern-like flowers with a pink bluish tinge. Alternate Globe Lily name reflects the globe shape of the flowers. Grows on shady hillsides. Notes: Calochortus is Greek for beautiful grass. The Maidu ate the bulbs of this and others in this genus -- dug bulbs, boiled roasted or steamed them in pits. Some tribes pounded bulbs into flour and ate the result as mush. Bulbs preserved well. The entire plant can be used as a potherb, seeds ground into meal, buds eaten raw in salads. The bulbs are nutritious and tasty. Those of the Globe Lily species have a maple-like taste. Flowers are also edible. Some of the species are endangered. They prefer cool, shady, rocky slopes. 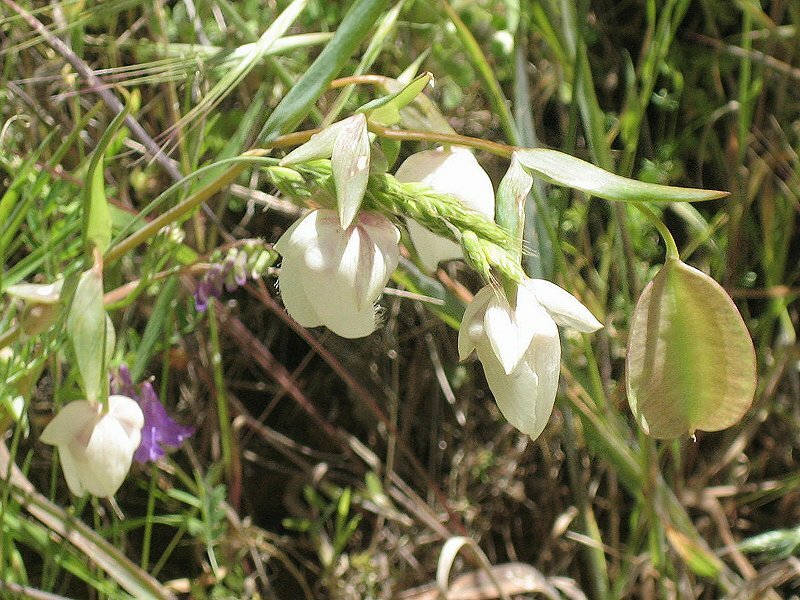 USDA lists 56 Species and 78 accepted taxa overall in the mariposa lily genus. 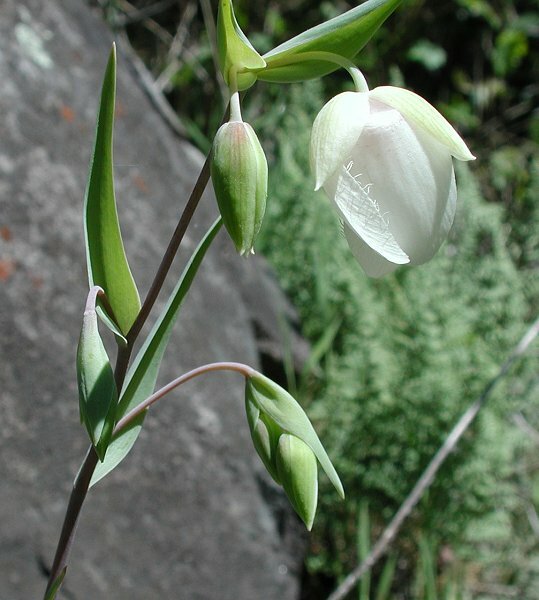 Species Calochortus albus Dougl. ex Benth.